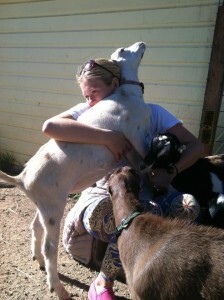 Mountain Flower Goat Dairy – Meet The Goats! 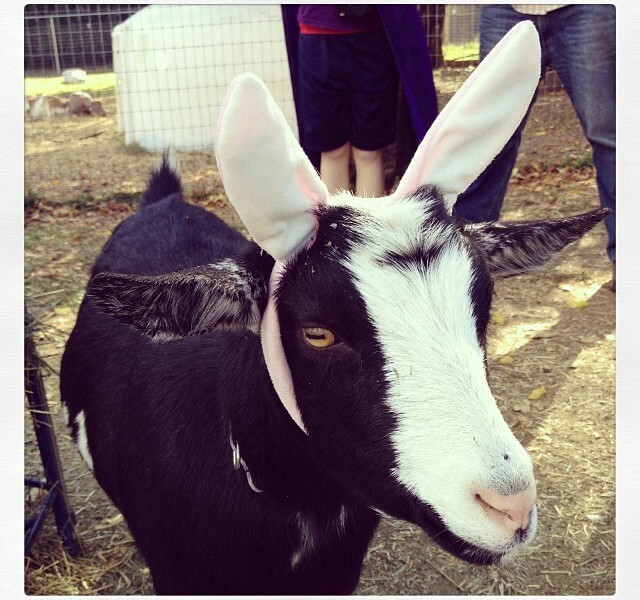 We’re excited to announce this year’s Meet The Goats event at Boulder Green Streets! In conjunction with Mountain Flower Goat Dairy – you’ll have the opportunity to meet the goats on this urban farm as well as try milk and cheese samples! 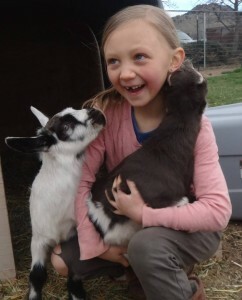 To provide intergenerational, community-engagement opportunities by offering educational workshops and programs, farm-to-school projects, field trips and tours; animal husbandry classes, handcrafted cheese making workshops, safe food-handling courses; beginning urban-farmer trainings and resources; pack-goat opportunities; fiber demonstrations and a formal farm apprenticeship program. To produce high-quality, hormone-free, humanely produced, local goatdairy productsfor use by community members and in our education programs. To support the 2011 Boulder Valley Comprehensive Plan’s long-term goal of “encouraging the preservation and sustainable use of agricultural lands as a current and renewable source of food and feed and for their contribution to cultural, environmental and economic diversity.” It is our long-term vision to collaborate with the landowners, the City, our neighbors, nonprofits, and other stakeholders in an effort to permanently protect the last 25-acres of working community farmland in the Boulder City limits from subdivision and development. To serve as a platform for broader farm and food systems policy change by providing a model of a working urban farm and engaged citizenship where we can go beyond everyday food choices to create a healthier and more transparent agricultural system by participating in and advocating for more sustainable food system. Meet The Goats Tour Details! 10:30-11:30: Doors open – meet the goats — Farm Directors will talk to visitors about general goat care and sustainable animal husbandry, visitors can meet the goats and llamas, brush goats and feed grain.